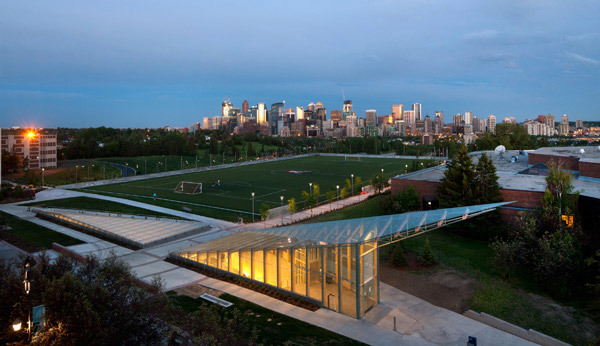 Mechanical Engineer: AECOM Canada Inc.
Electrical Engineer: Crossey Engineering Ltd. Contractor: PCL Construction Management Inc. 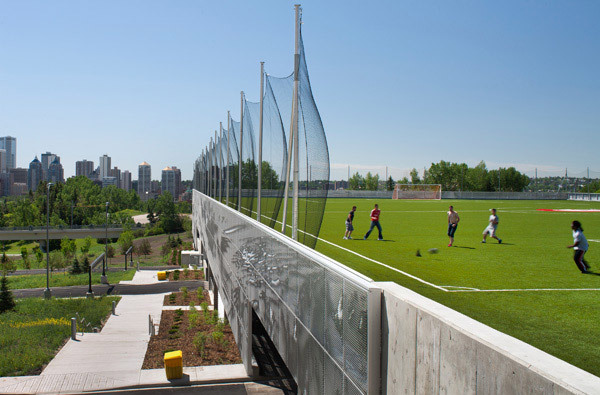 Preserving a critical viewscape between the historic campus and downtown Calgary, SAIT Polytechnic's new three-level parkade is nestled into an existing hillside creating a green roof playing field and leaving only two sides of the structure visible. 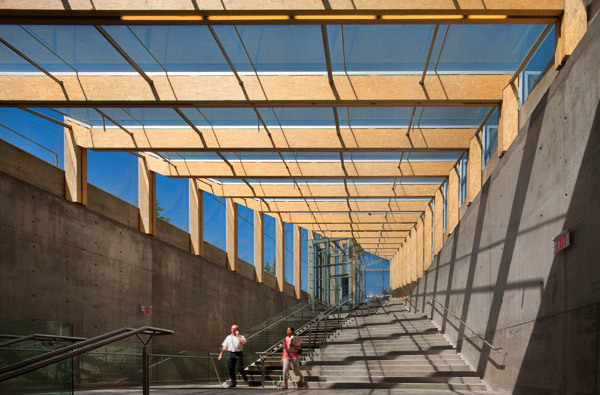 Theses exposed sides are clad in semi-perforated metal screens called Ombrae which allows natural light and ventilation into the interior of the parkade while simultaneously creating giant exterior art piece. 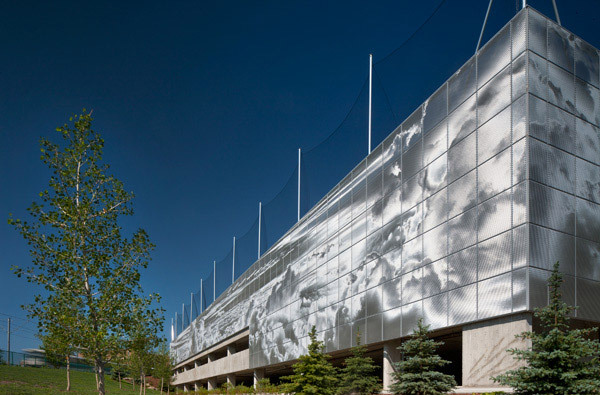 Combining both art and utility, the screens catch and interact with sunlight to depict a moving cloud filled sky while successful camouflaging the parkade from the surrounding community.